If your dry January is going as well as well as ours why not give ‘try January’ a go instead! The idea came to me after an evening talking to our guests after dining with us. There were many questions about elements of the dishes and it was great to hear guests trying something for the first time and enjoying it. 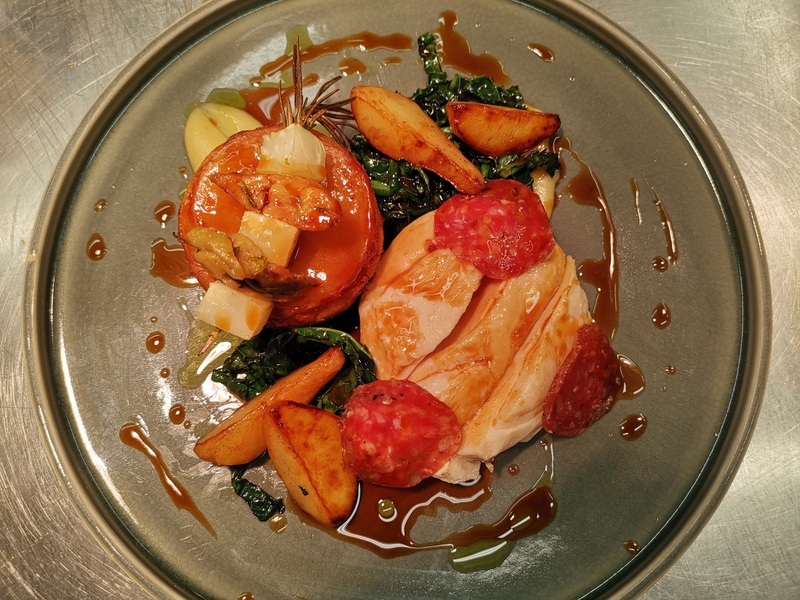 Our menu has all our Tickled Trout favourites on but if you haven’t tasted a confit chicken oyster, Parisienne potatoes, truffled polenta, kohlrabi, an oyster or woodruff come and have a look at our specials menu! These can all be found on our menu. Kohlrabi, which is also known as a german turnip, is actually part of the cabbage family. It has a mild sweet flavour with a crisp texture. It goes perfectly with the butter poached Cornish cod loin and is accompanied with poached fennel and dill and fermented turnip. Truffle is one of my favourites flavours so it does make an appearance in a few of our dishes. The Arancini (parmesan and red fox risotto aqaures) is served with truffle mayonnaise and our OMG fries have grated truffle and parmesan grated on. But the Highfield House blade of beef really is a stunning dish. The braised blade melts in your mouth and works well with truffled polenta, sautéed foraged mushrooms and ruby kale. There are always vegetarian options to try as well – how about a change and try our Cauliflower steak, pickled cauliflower, hazelnuts, Derbyshire ale rarebit with caper & raisin purée. Woodruff has been such a find, grown in our garden it is a woodland herb and when dried it releases a pleasant odour reminiscent of fresh hay. In the past it has been in homeopathic remedies but we use a small amount in our homemade woodruff ice cream to go with the salted caramel tart. Tempted? I hope so……. give try January a go!